This work results from a close collaboration between the architect and an enlightened client capable of assimilating and encouraging architectural choices motivated by reasons that generate forms. An extraordinary passion has bound us throughout the years of the project, reaching a synthesis expressed by the completed work. 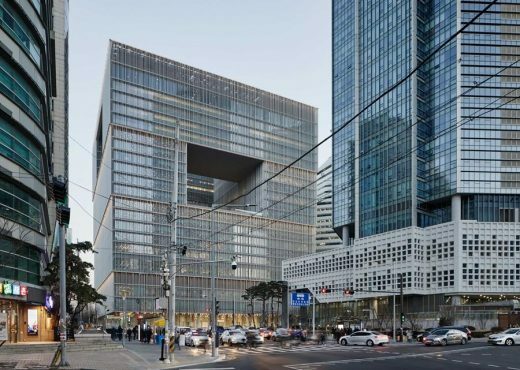 Following eight years of design and construction, the completion of the new headquarters for Amorepacific, the largest Korean beauty company, was marked on 15 June with an official ceremony in Seoul, South Korea. 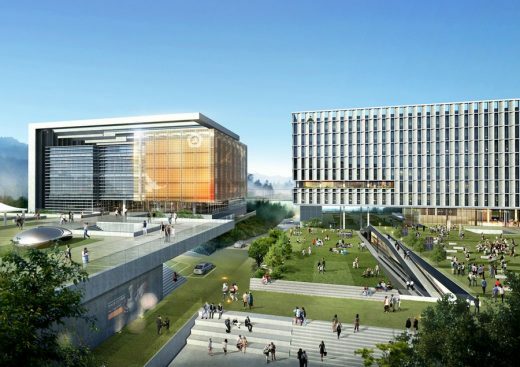 One of the world’s largest corporate research campuses is now open for business. 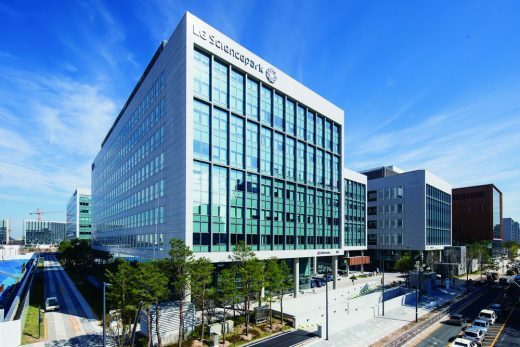 At more than 1 million square metres (the equivalent of 152 football pitches), LG Science Park in Seoul’s Magok District unites staff from eight of LG’s Korean businesses in the same location for the first time. 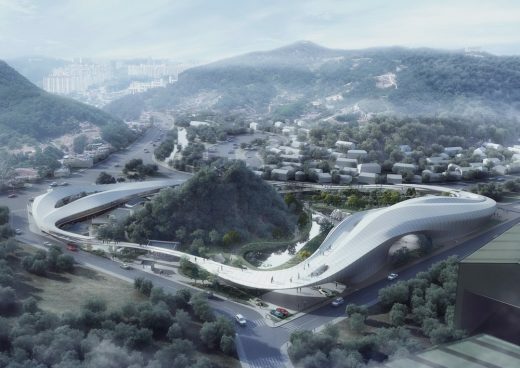 Inspired by Taoist concept of ‘Yi,’ The project is illustrated as a metaphorical ‘cloud,’ which surrounds the mystical mount Yukyang in Samcheok city. The Architecture is stimulated by the cloud forms depicted in east Asian ancient fine art and is manifested as a series of bridges and buildings that embrace a sacred mountain within. 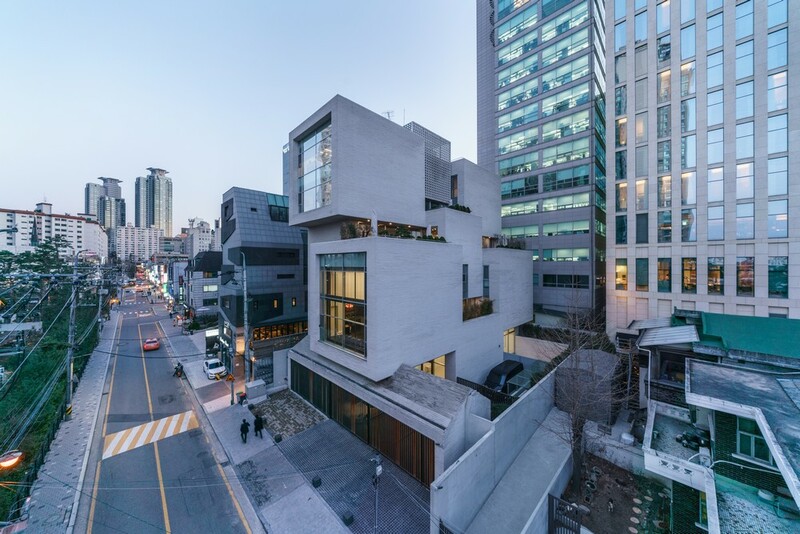 Following its implementation as a result of the rapid urbanisation of the booming middle class in South Korea, apartment living continues to be the most popular type of housing in the country. 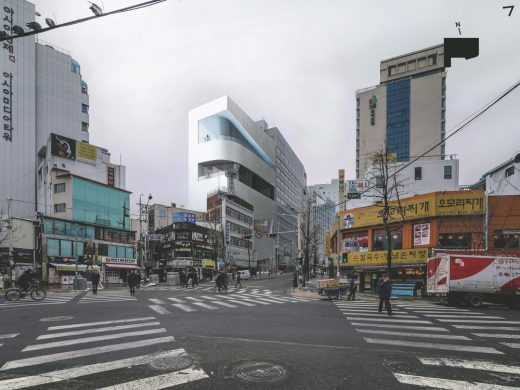 In cities across South Korea this type of housing can be found stacked in identical, densely packed, utilitarian blocks. 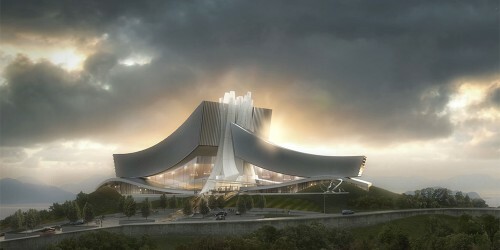 This 1,300-seat concert hall is located on an ocean side bluff overlooking the Tongyeong Harbor in South Korea. Designed to resound the intensity and vibrancy of Korean composer Isang Yun’s music, the concert hall comprises two elements: the upper level, with its metaphorical frozen undulation of water waves and the podium, which at ground level starts as a landform that mimics the ocean. This proposal and narrative, ‘The first time we met’, started from the question of what the origin of our society and architecture are. The Hyundai Motorstudio Goyang has opened its doors. It is the largest centre of automotive culture in Korea, a brand world used by car maker Hyundai to present itself to a broad public. 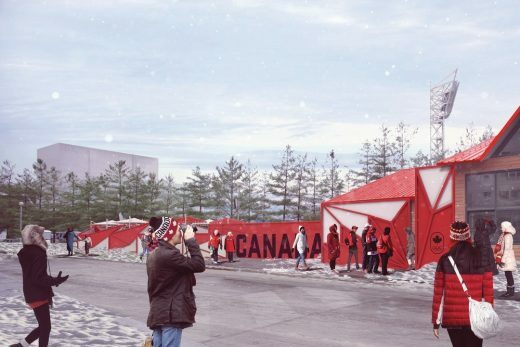 Up to 2,000 visitors per day are expected at the favourable location between the airport and Seoul city centre. The spacious, light-filled building comes from the Viennese architects Delugan Meissl, the exhibition having been designed by ATELIER BRÜCKNER, Stuttgart. 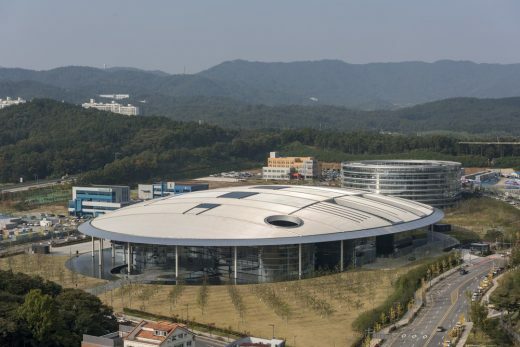 The new research and development centre for Hankook Tire: the new facility forms an integral part of Hankook Tire’s new vision for a corporate culture and brand, and the 96,328-sqm R+D centre aims to attract the industry’s top talent, providing an inspirational place to work, with light filled offices, advanced laboratories and dynamic social spaces to nurture a culture of openness and innovation. Planned as a sustainable government complex, the facility is located on a hill side. 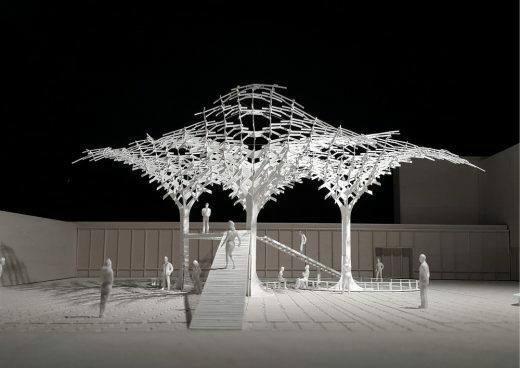 Utilizing the site condition, the design team focused on the concept of ‘Ulju Maru’ by creating various levels that provides comfort in access and utilization by the citizens.